Home / fooddrink / foodie / nasi lemak / nasi lemak burger / nasi lemak tower / news / the roof / Feel like having Nasi Lemak Burger? How about a Nasi Lemak Tower instead? Feel like having Nasi Lemak Burger? How about a Nasi Lemak Tower instead? Everyone is so into the nasi lemak hype now! Ever since McDonald’s Singapore created its unique Nasi Lemak Burger, other F&B chains have been following in the same footsteps while giving the popular food their very own spin. 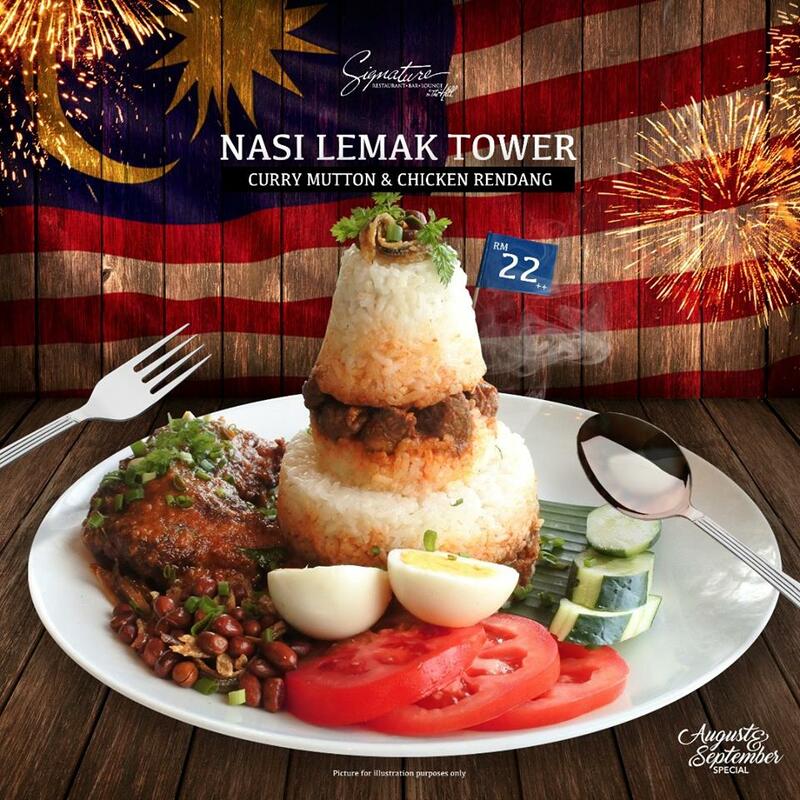 The latest one to jump onto the bandwagon is gastro-lounge Signature at The Roof at Damansara Utama with their new menu special called, the Nasi Lemak Tower! In conjunction with the 60th Merdeka (Malaysia Independence Day) celebration this year, the establishment has put a twist on the favourite local dish which is sure to satisfy big time foodies. Priced at RM22, the Nasi Lemak Tower consists of TWO nasi lemak stacked upon each other, with curry mutton and chicken rendang, a generous serving of crunchy anchovies and peanuts, a couple of tomato and cucumber slices and a soft-boiled egg. If you think the dish is too much for you to enjoy by lonesome, you can always share it with your nasi lemak-loving friends. The mouth-watering dish is only available until September 2017, so be sure to grab it before it runs out!